Microsuper è stato uno spazio sperimentale in cui, dal 2010, ho incominciato a parlare di service design e social innovation, ambiti che sono attualmente sempre più mainstream. Rimane uno spazio in progress, ma per adesso concentro le mie attività di sperimentazione nel mio lavoro di ricercatrice al Dipartimento di Design del Politecnico di Milano, presso POLIMI DESIS Lab. Qui in connessione con la rete internazionale DESIS e con tanti amici che ho trovato lungo il cammino continuo tutti i giorni a occuparmi di questi temi, sia in ambito accademico che professionale, nonché di attivista. Spero (a breve, e comunque entro 2017) di trasformare tutto questo in un libro. Microsuper has been an experimental space in which, since 2010, I started to talk about service design and social innovation, two areas that are currently mainstream. Microsuper remains a in-progress space, but for now I run my experimentations within the framework provided by my position as researcher at POLIMI DESIS Lab, Department of Design – Politecnico di Milano. Here, in connection to the international network DESIS and to a group of friends that I found alongside my path I continue on focusing on these subjects, both from academic and professionals side, and additionally as design activist. I hope to transform all this work into a book (hopefully within 2017). My doctoral research originates from observation of those people who are most active in our society: groups of citizens who self-organize to solve their own problems, by starting to transform what is already there without waiting for a bigger, top-down change. Creative communities (Meroni, 2007), active citizenship, social movements, whatever you want to call them, these forms of activism are shaping our cities and they are developing an alternative system of services between amateur and professional, public and private, market and society, profit and not for profit. This starting point is a positive phenomenon and thus initiates the optimistic perspective that informs my whole research, even moving from a context characterized by wide social and economic transformations that have resulted in a long crisis. In fact, the first part of this doctoral dissertation is devoted to framing the renewed activism on the part of citizens, by connecting it with the wider concept of social innovation (Mulgan, 2006) and drawing a system of relationships with new forms of economy, such as collaborative consumption or sharing economy (Botsman and Rogers, 2010) and new forms of welfare, known as relational welfare, second welfare etc. (Cottam and Leadbeater, 2004; Ferrera and Maino, 2013; Boyle and Harris, 2009). All these movements basically explore new ways of offering services and this is my specific interest as a researcher in design for services, which represents the main area of study in this doctoral dissertation. Hence, I attempted to develop these new forms of service by creating the definition of ‘public-interest services’, which focuses on its hybrid nature: the provider of such services is a system composed of different actors sharing the same values and acting in the public interest; they are services that emerge from the bottom-up and they often show a high level of disorganization and transience, sometimes they are just initiatives that are not able to evolve. I questioned what design can do for such activities, not only design for services, but also participatory design and all forms of co-creation that range from co-design to co-production, precisely because the protagonists of these initiatives are users, citizens who already practise collaboration and sharing. The research question is therefore a series of consequential questions: how not to waste citizen activism? How to strengthen the various bottom-up initiatives? How to transform these activities into public-interest services that are effective, efficient, and sustainable both from an environmental and social point of view? What kind of infrastructure could support this transformation? How could design contribute in creating this infrastructure? The term ‘infrastructure’ and the related verb ‘infrastructuring’ (Star and Ruhleder, 1997; Ehn, 2008; Bjögvinsson et al., 2010) are crucial for my doctoral dissertation, because they are the ‘object’ and ‘action’, indeed the ‘product’ and ‘process’ of my research. Therefore my hypothesis is that the creation of a dedicated infrastructure to co-design with citizens building upon their existing initiatives may avoid their weakening and ultimate failure, facilitating the emergence of a new generation of public-interest services and the creation of a catalyst for local change, hopefully fostering the encounter between the top-down (institutions) and the bottom-up (active citizens). To verify this hypothesis I adopted a methodology that combines two major strategies: case studies and participatory action research. For the former, I analysed existing practices, and for the latter, I carried out research testing one possible infrastructure to support specific initiatives in a selected context, and it this second strategy that is undoubtedly at the core of my research. In exploring case studies I analysed existing forms of activism and collaboration, from civic participation networks, to social movements, public art and collaborative services (Jégou and Manzini, 2008) in various fields of daily life. Thus I attempted to understand if there are existing infrastructures dedicated to support such activities and this exploration produced a taxonomy of places, entities and organizations defined as ‘Public Innovation Places’ (Staszowski, 2013). In my participatory action research experimentation I immersed myself in a specific context: Zone 4 in the city of Milan. I started with this neighbourhood because there was already a high level of citizen activism that I had encountered when working with Polimi DESIS Lab on the project ‘Feeding Milan – Energy for changes’, which is dedicated to exploring new types of food systems. And therefore food became the key-subject (‘boundary topic’) around which I established a fundamental connection with this community of citizens. After one-year’s immersion within the local context, I developed the project ‘Creative Citizens’, a programme of weekly co-design sessions on four main topics: food services, services for sharing goods and skills, cultural services, legal and bureaucratic services. 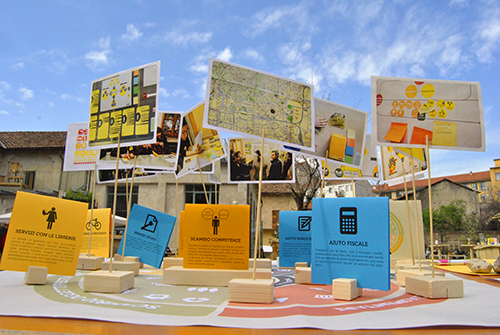 ‘Creative Citizens’ is at the centre of this doctoral research because it researched an actual infrastructuring process in the existing initiatives, by using design for services and participatory design and thus creating a meeting space for citizens, designers, local stakeholders and institutions, if only for six months and on a small scale. Furthermore, I was able to extend my participatory action research to a second context: the Lower East Side in New York City. Here I researched another type of infrastructure: the ‘NYC Office of Public Imagination’, focused essentially on the collaboration between citizens and the Municipality of New York and thus exploring an innovative connection between bottom-up and top-down through participatory design. The results of this doctoral dissertation can be divided into two main parts: one focuses on services generated during ‘Creative Citizens’ and the related service model, the other discusses a collaborative infrastructure to co-design and co-produce public-interest services. The first part considers the services originated within ‘Creative Citizens’ as actual results. This is perhaps an element of originality: the general purpose of a PhD is to produce new knowledge about a topic, and, in my case, my methodology based on action research also led to the creation of effective field results, six services (Objects’ Library, Augmented Time Bank, Citizens Help Desk, Facecook, Local Distribution System, Zone 4 Ciceros) that are currently evolving in different directions and have produced an impact on the neighbourhood. On the basis of these results I attempted to extract a service model, building upon that of collaborative services and outlining a set of characteristics. This first set of results has therefore a micro-perspective on the single service and it is not coincidental that it concentrates mainly on the research area of design for services. The second part of the results has a wider perspective: it offers a model for infrastructuring informal activities in public-interest services, describing a process that is potentially replicable in other contexts, starting from meeting a community and going through the phases of co-design, co-production and co-management. This focuses more on participatory design and social innovation, and developing several aspects. The first deals with the idea of creating a ‘fab-lab of services’, the second reflects on a possible financial model for these infrastructures, building upon the notions of ‘corporate social responsibility’ and ‘shared value’. Finally, I reflected on the role of designer within these processes: from the traditional role as ‘facilitator with tools’ to the more recent one as ‘activist with proposals’, and I introduced a possible role of ‘designer as advocate’ sustaining citizens’ initiatives. In this doctoral research I essentially reflected on how to design new forms of citizen participation within society, aiming at supporting public interest, which is also connected to the design of new forms of democracy and of the re-distribution of power. Design is entering unprecedented stages: this is an open question for further research, in which the relationship of design, democracy and politics will form the starting point. La mia ricerca di dottorato nasce dall’osservazione della parte più attiva della nostra società: gruppi di cittadini che si organizzano spontaneamente per dare risposta ai loro problemi, iniziando a innovare quello che c’è senza aspettare la venuta di un più grande cambiamento dall’alto. Comunità creative (Meroni, 2007), cittadinanza attiva, movimenti sociali, comunque si voglia chiamarle, queste forme di attivismo stanno caratterizzando le nostre città e hanno sviluppato un sistema alternativo di servizi fatto di iniziative a metà tra l’amatoriale e il professionale, pubblico e privato, mercato e società, profit e no profit. Tutte questi fenomeni esplorano in fondo nuove maniere di fare servizi e di qui il mio interesse come ricercatrice in design dei servizi, che appunto costituisce l’area disciplinare principale di questa tesi di dottorato. Ho quindi cercato di approfondire queste nuove tipologie di servizio, costruendo la definizione di ‘servizi di interesse pubblico’, che serve essenzialmente a definirne il carattere ibrido: il provider di tali servizi è un sistema di attori differenti che condivide gli stessi valori e agisce appunto per l’interesse pubblico; sono servizi che nascono dal basso e hanno spesso un alto grado di dispersione e mortalità, a volte non riescono neanche a evolversi dal semplice stato di iniziativa. Mi sono dunque chiesta cosa il design può fare per queste attività, non solo il design dei servizi, ma anche il participatory design e tutte le varie forme di co-creazione che vanno dal co-design alla co-produzione, proprio perché i protagonisti di queste iniziative sono gli utenti, i cittadini che mettono in piedi pratiche di collaborazione e condivisione. La domanda alla base di questa ricerca è perciò un insieme di quesiti consequenziali: come non disperdere l’attivismo dei cittadini? Come potenziare le molteplici iniziative dal basso? Come trasformare tali attività in veri e propri servizi di interesse pubblico, efficaci, efficienti, sostenibili dal punto di vista ambientale e sociale? Che tipo di infrastruttura può supportare questa trasformazione? Che ruolo può avere il design nel creare questa infrastruttura? Il termine infrastruttura e il relativo verbo ‘infrastrutturare’ (Star and Ruhleder, 1997; Ehn, 2008; Bjögvinsson et alt, 2010) diventano quindi centrali nella mia tesi di dottorato, perché sono l’oggetto e l’azione di progetto. Ipotizzo infatti che la creazione di infrastrutture dedicate al supporto di attività informali tramite pratiche di co-design e co-produzione possa impedirne la dispersione e favorirne una possibile implementazione, dando luogo a una nuova generazione di servizi di interesse pubblico e favorendo auspicabilmente l’incontro tra la parte bottom-up dei cittadini e quella top-down del settore pubblico e delle istituzioni. Per testare questa ipotesi ho adottato una metodologia che unisce due strategie principali: i casi studio e la ricerca-azione. Da una parte ho analizzato l’esistente, dall’altra ho messo in piedi una sperimentazione per riprodurre una possibile infrastruttura a supporto di specifiche iniziative in un contesto selezionato, e questa seconda strategia costituisce indubbiamente il cuore della mia ricerca. Nell’esplorazione dei casi studio ho analizzato forme di attivismo e di collaborazione esistenti, dalle reti di partecipazione civica, ai movimenti sociali, all’arte pubblica, fino a servizi collaborativi (Jégou and Manzini, 2008) attivi in vari ambiti della vita quotidiana . Ho poi cercato di capire se ci fossero delle infrastrutture dedicate al supporto di tali attività e questa esplorazione ha prodotto una classificazione di vari luoghi, entità, organizzazioni definiti come ‘Public Innovation Places’ (Staszowski, 2013). Nella mia sperimentazione di ricerca-azione mi sono immersa in un contesto preciso: la Zona 4 nella città di Milano. Sono partita da questo quartiere perché era già presente un alto grado di attivismo dei cittadini, che, come gruppo di ricerca Polimi DESIS Lab, avevamo già potuto constatare all’interno del progetto sui sistemi alimentari ‘Nutrire Milano – Energie per il cambiamento’. E appunto il cibo ha costituito l’argomento di partenza (‘boundory topic’) attraverso il quale ho stabilito una connessione con questa comunità di cittadini. Da un’immersione di un anno nel contesto locale è nata la sperimentazione ‘Cittadini Creativi’, un programma di sessioni settimanali di co-design diviso in quattro cicli tematici: servizi alimentari, servizi di scambio oggetti e competenze, servizi legali e burocratici, e servizi culturali. 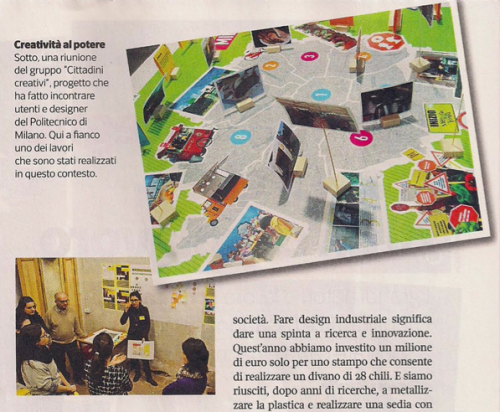 ‘Cittadini Creativi’ costituisce il cuore di questa ricerca perché ha sperimentato un processo di infrastrutturazione di iniziative esistenti usando il design dei servizi e il participatory design, creando, anche se solo per sei mesi e su piccola scala, uno spazio di incontro tra cittadini, designer, istituzioni e attori locali. Ho inoltre potuto estendere la mia ricerca-azione a un secondo contesto, il Lower East Side a New York, dove ho sperimentato un altro tipo di infrastruttura, il ‘NYC office of Public Imagination’, incentrato essenzialmente sulla collaborazione tra cittadini e comune di New York, e quindi esplorando un’inedita connessione tra bottom-up e top-down attraverso il participatory design. I risultati di questa ricerca di dottorato si possono dividere essenzialmente in due parti: una si focalizza sui servizi nati all’interno di ‘Cittadini Creativi’ e sul modello di servizio che ne deriva, l’altra descrive le caratteristiche di una possibile infrastruttura collaborativa per co-progettare e co-produrre servizi di pubblico interesse. La prima parte considera i servizi nati da ‘Cittadini Creativi’ come veri e propri risultati. Questo è forse un elemento di novità: scopo di un dottorato è in genere produrre una nuova conoscenza, anche se piccola. Nel mio caso, il processo di ricerca-azione ha prodotto anche dei reali risultati sul campo, ossia sei servizi (La Biblioteca degli Oggetti, la Banca del Tempo Aumentata, Facecook, la Rete di Distribuzione Locale, i Ciceroni di Zona 4) che stanno adesso evolvendo in varie direzioni, ma che comunque hanno prodotto un impatto sul quartiere. Sulla base di questi risultati, ho cercato di astrarre il modello di servizio, partendo da quello dei servizi collaborativi e tracciando una sintesi delle caratteristiche. Questa prima parte di risultati ha quindi una micro-prospettiva sul singolo servizio e non a caso si concentra maggiormente sull’area disciplinare del design dei servizi. La seconda parte dei risultati ha una prospettiva più ampia: offre un modello per l’infrastrutturazione di attività informali in servizi di interesse pubblico, descrivendo un processo potenzialmente replicabile in altri contesti, che parte dalla creazione di comunità , passando per le fasi di co-progettazione, co-produzione e co-gestione. Questa seconda parte di risultati si concentra di più sul participatory design e l’innovazione sociale, offrendo alcuni approfondimenti. Il primo riguarda l’idea di istituire dei ‘fab-lab di servizi’, dove cittadini e designer possono specificatamente collaborare alla fase di sviluppo di tali servizi, il secondo concerne il possibile modello di finanziamento di queste infrastrutture, partendo dalle di ‘corporate social responsibility’ e ‘shared value’. Infine ho svolto una riflessione sul ruolo del designer in questi processi: da quello tradizionale di facilitatore con strumenti a quello più recente di attivista con proposte, per poi proporre un possibile ruolo di designer ‘advocate’ che supporta le iniziative dei cittadini. In questo dottorato ho sostanzialmente riflettuto su come progettare nuove forme di partecipazione dei cittadini nella società, al fine di sostenere l’interesse pubblico, il che è connesso alla progettazione di nuove forme di democrazia e di redistribuzione del potere. Il design sta quindi entrando in ambiti inediti: si tratta di questioni aperte per una futura ricerca, nella quale il rapporto tra design, democrazia e politica costituirà la base di partenza. 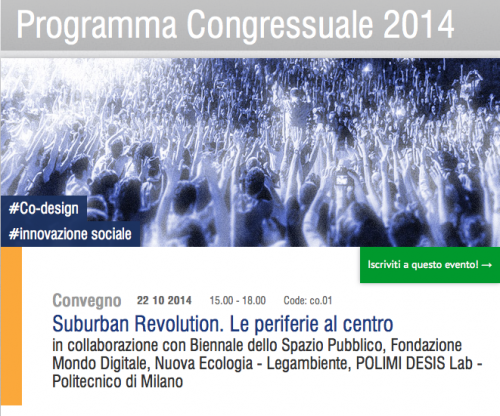 Il 22 ottobre dalle 15 alle 18 coordinerò un tavolo di di discussione alla Smart City Exhibition 2014 a Bologna. Il tavolo è intitolato ‘Design activism: progettare per attivare le energie civiche’ all’interno del convegno ‘Suburban revolution’. Qui di seguito l’abstract e le questioni di discussione. Il design activism si mette in moto specialmente nei contesti che vivono dei conflitti: ogni forma di attivismo che si rispetti nasce da una divergenza, che spesso si colloca nei confini, negli interstizi, nelle periferie. Da qui la seconda definizione laterale: la periferia in questo tavolo non è intesa in senso prettamente spaziale, ma periferia nel senso di territori più o meno urbani che si aggregano di fronte a un conflitto e dove il design può cercare di attivare dei processi di partecipazione tramite un insieme di strumenti e approcci come il co-design e il community centred design. - Quali sono i ‘territori periferici’ in Italia che attivano energie civiche e fanno innovazione sociale? Possiamo raccogliere dei casi e realizzare una mappatura istantanea? - In che maniera il designer può intervenire a supporto di queste comunità? Come avviene il contatto? Chi da’ il mandato al designer? - Qual è la comunità di riferimento? Cittadini comuni? O già istituzionalizzati? Associazioni? Terzo settore? Come si può far partecipare chi di solito non partecipa? - Come utilizzare il design nell’attivare queste energie? Quale tipo di design conosci? - Quali sono le comunità di riferimento? Cittadini comuni? O già istituzionalizzati? Associazioni? Terzo settore? Come si far partecipare chi di solito non partecipa? - Quali sono le aree tematiche sulle quali si interviene maggiormente? Cibo, energia, cultura, mobilità, welfare, spazio pubblico? - Come passare dall’attivazione iniziale a progetti a medio-lungo termine? - Come fare ponti tra pubblica amministrazione e attivismo civico? 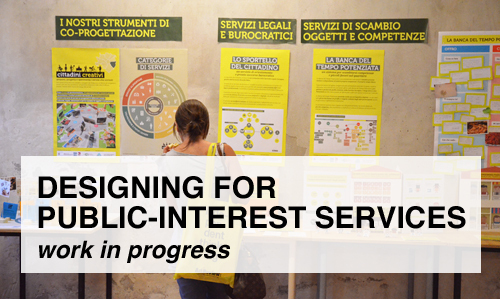 Sto scrivendo la mia tesi di dottorato: ‘Designing for public-interest services. I am here publishing the abstract of the article presented last week at the conference “CUMULUS Spring 2014 – University of Aveiro 8-10 May 2014. What’s on: cultural diversity, social engagement, shifting education”. Here are the link to the paper. Pubblico qui l’abstract dell’articolo presentato la settimana scorsa alla conferenza ”CUMULUS Spring 2014 – University of Aveiro 8-10 May 2014. What’s on: cultural diversity, social engagement, shifting education”. Questo il link al paper. NEW SERVICE MODELS AND NEW SERVICE PLACES IN TIMES OF CRISIS. How citizens’ activism is changing the way we design services. 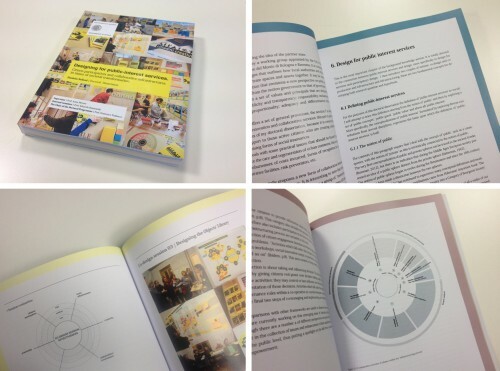 In this paper we discuss how citizens’ activism is changing the way we design services, introducing new service models and places, and therefore, a new role for service designers. The reference framework is ‘the bright side of the crisis’, a scenario characterized by a significant wave of bottom-up activism, in which citizens are starting to design and produce a new generation of collaborative services, in order to respond to the deficit of services in our cities. As service designers we are particularly interested in such phenomena and in the transformation of bottom-up activities in actual services, using co-design and community centred design. In this scenario, one significant example is “Creative Citizens”, a project generated within the design doctoral programme of Politecnico di Milano. Building upon this applied-research activity, we wish to better define the new service models arising in this scenario and, consequently, the related service places emerging as points of connection among citizens, designers, stakeholders and institutions. Finally, looking attentively at Creative Citizens’ results, we wish to focus more on the role of designers in shaping this social learning process: they are more than facilitators because they are able to inspire and lead a community. KEYWORDS: Service design. Service models. Service places. Social innovation. Design activism. Poco tempo fa sono stata intervistata dalla giornalista Manuela Mimosa Ravasio, la quale era decisa a raccontare come il design stia cambiando e soprattutto in cosa consista il design dei servizi, portando all’attenzione dei lettori di Sette del Corriere della Sera (uscito lo scorso venerdì 4 aprile 2014) un argomento di non facile restituzione che invece è riuscita a trasformare in una bella storia. Non ha intervistato solo me, ma anche altri pionieri di questa disciplina come Ezio Manzini (il primo a parlare in Italia di design dei servizi in tempi non sospetti) e alcuni colleghi di Polimi DESIS Lab, Anna Meroni (autrice di “Design for Services) e Marta Corubolo. Nell’articolo ha inoltre incluso altre storie di design “intangibile”, come ad esempio il lavoro che Valcucine sta facendo con i dotodot in questo Salone del mobile 2014. Per chi se lo fosse perso, qui è possibile scaricare l’articolo, e di seguito riporto uno stralcio di quanto affermato da Ezio Manzini nell’intervista. Le immagini di sopra si riferiscono al progetto “Cittadini Creativi” che ho realizzato alla Cascina Cuccagna, una sperimentazione di co-progettazione di servizi con i cittadini di Zona 4 a Milano. 19.mar.2014 Terza Edizione del Master in Housing Sociale e Collaborativo: iscrizioni aperte. POLI.design lancia la III edizione del Master in Housing sociale e collaborativo, il percorso nato per rispondere al crescente bisogno di conoscenze generali e di competenze professionali sullaprogrammazione, la progettazione e la gestione delle forme di abitazione sociale contemporanea, fondate su politiche e scelte d’integrazione sociale e collaborazione. Il Master, organizzato e gestito da POLI.design e supportato dallaScuola del Design con la collaborazione della Scuola di Architettura Civile, della Scuola di Architettura e Società e della Scuola di Ingegneria Edile – Architettura del Politecnico di Milano, quest’anno si avvale anche di una collaborazione traFondazione Politecnico di Milano, POLI.design e Fondazione Cariplo, che mette a disposizione borse di studio e contributi tirocinio. Quattro le borse di studio per favorire l’accesso al programma formativo del Master in Housing Sociale e Collaborativo anche agli Enti del Terzo Settore operanti in Lombardia e nelle provincie di Novara e Verbano-Cusio-Ossola; un premio di 5.000 euro al gruppo di partecipanti al Master che svilupperà, durante uno dei workshop intermedi, il miglior progetto di residenzialità sociale; 6.000 euro da destinare alle 3 migliori proposte di tirocinio provenienti da enti del terzo settore già attivi sul fronte dell’housing sociale. Scarica qui il regolamento sulle borse di studio, e quello relativo ai contributi tirocinio. Il Master forma figure professionali in grado di operare in modo sistemico nel processo progettuale dell’housing sociale e collaborativo attraverso competenze di design dei servizi, architettura, scienze sociali, management e finanza: troverai la descrizione dettagliata del programma formativo e delle modalità di iscrizione su questa pagina. Tutti coloro che si interessano di Milano, innovazione sociale, incubazione di start up, design dei servizi, non possono mancare a Milano Social Innovation City. Sotto tutti i dettagli. 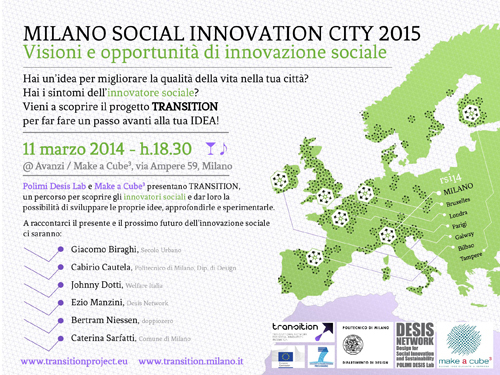 MILANO SOCIAL INNOVATION CITY 2015. Visioni e opportunità di innovazione sociale. TRANSITION è aperto a tutti coloro che hanno un’idea per migliorare la vità in città: persone singole, vicini di casa, colleghi, gruppi, organizzazioni, professionisti. TRANSITION è un progetto europeo con l’obiettivo di promuovere e sostenere le esperienze di innovazione sociale in tutta Europa. Il Polimi DESIS Lab (Politecnico di Milano) e Make a Cube3sono i partner italiani della rete. 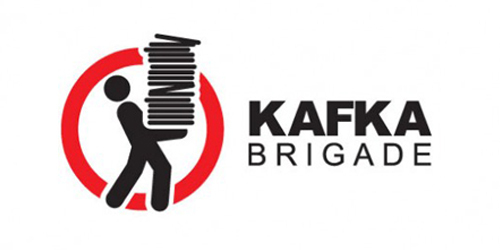 07.feb.2014 Kafka Brigade: un approccio user-centred per riprogettare i servizi della pubblica amministrazione. Kafka Brigade è un gruppo di ricerca indipendente il cui obiettivo è aiutare le pubbliche amministrazioni (ma anche imprese che ne avessero bisogno) a semplificare la burocrazia che caratterizza l’offerta servizi e che spesso appunto genera situazioni “kafkiane”. Il gruppo è composto sia da professionisti che da ricercatori universitari, è nato in Olanda con la collaborazione di Kennisland, uno degli attori più attivi nell’innovazione sociale nel settore pubblico. Attualmente Kafka Brigade ha anche uffici in UK, a Budapest e a Cambridge negli Stati Uniti. Il loro approccio nel migliorare servizi esistenti o trovare nuove soluzioni è essenzialmente user-centred, ma non solo. Quello che cercano di fare, usando metodi PAR (Participatory Action Research), è creare un gruppo di lavoro che coinvolge i cittadini-fruitori dei servizi e gli impiegati della pubblica amministrazione, e, a livello più avanzato, anche i policy makers. Kafka Brigade opera dal 2007, epoca nella quale era sicuramente un pioniere nel campo, per questo attualmente può vantare un ampio portfolio di progetti, oltre ad aver sviluppato negli anni metodologie e tecniche sempre più raffinate. Un esempio è costituito dal servizio Kafka Button: si tratta di numero verde che consente ai cittadini di segnalare episodi di burocrazia difficoltosi, sapendo che la segnalazione tramite Kafka Button fa seguire un’azione pratica. Spesso questo servizio è utilizzato per periodi limitati ed è sperimentato all’interno di specifiche comunità di cittadini. Un altro servizio interessante è il Kafka Thermometer, che serve a misurare il livello di burocrazia all’interno di una struttura: è un breve questionario digitale che si compila in 15 minuti, ed è generalmente diretto agli impiegati, ai quali viene chiesto di valutare vari aspetti del lavoro: il grado di collaborazione, il collegamento tra la politica e l’attuazione, la professionalità, l’attenzione al cliente, l’adattabilità ai cambiamenti, ecc. Una volta analizzati, i risultati del questionario offrono una panoramica della burocrazia inutile e alcuni spunti pratici per l’azione immediata. Il lavoro svolto da Kafka Brigade è quindi a metà tra design research e service design, ha un carattere interdisciplinare perché mette insieme aspetti legali, fiscali e sociali e soprattutto è molto interessante la sua maniera di presentarsi come una task-force indipendente contro la burocrazia, costituita da ricercatori e professionisti di altissimo livello. Tra i loro progetti ricordo: la semplificazione della burocrazia nei servizi per i pazienti affetti da malattie croniche (in Olanda), l’unificazione degli archivi per i certificati di nascita, matrimonio e morte con relativo re-design dei processi di richiesta-rilascio (sempre in Olanda), il miglioramento dell’offerta servizi destinata ai giovani che non studiano né lavorano (i così detti NEET) attraverso la creazione di indicatori di perfomance e la razionalizzazione di un piano d’azione (in Gran Bretagna) . 28.gen.2014 Legal Design Jam a Milano: design di documenti, licenze e policy, il campo del (service) design si allarga sempre di più. Il 10 e l’11 e febbraio arriva a Milano il Legal Design Jam, una due giorni sulla falsa riga delle già esistenti Service Design e Gov Jam, le quali, similmente alle hackaton, cercano di concentrare energie e contributi differenti nella realizzazione di un progetto ambizioso. Il Legal Design Jam avviene per migliorare un documento o una policy esistente, inoltre mette allo stesso tavolo figure professionali differenti, come avvocati, designer, policy makers e programmatori, creando un gruppo di lavoro inedito che si concentra attivamente per due giorni su un argomento preciso. A ospitare la Legal Design Jam a Milano è la Domus Academy il 10 febbraio, dove studenti e professori lavoreranno al redesign della regolamentazione sul crowdsourcing. L’11 febbraio i lavori si sposteranno presso la sede di Talent Garden, e potrà partecipare previa iscrizione chiunque sia interessato. Oggetto ambizioso della giornata sarà il redesign del Codice di Comportamento dei Dipendenti Pubblici. Negli ultimi 10 anni il design non si è più occupato solo di aziende e brand, ma il suo campo di azione si è allargato sempre di più alla sfera pubblica, in particolare per quel che riguarda il design dei servizi. 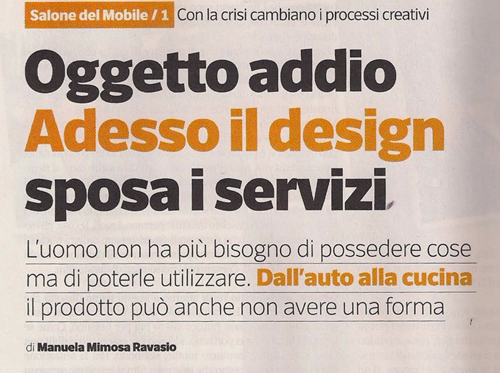 Il settore pubblico è in fondo un service provider, ecco perché ha bisogno di competenze professionali come quella del service designer. Da qui si è poi passati a estendere l’intervento a varie altre aree, tra cui quella delle policy, tanto che si parla di “design for policy”, sempre con l’intento di portare innovazione anche tali settori. Il Legal Design Jam si iscrive esattamente in questo orizzonte e si unisce al generale entusiasmo verso il design e le sue metolodogie, che sicuramente non è una panacea a tutti i problemi, certamente però, già dai risultati di questi piccoli esperimenti, si potrà meglio mettere a fuoco in cosa consista esattamente il contributo del design. E’ possibile iscriversi al Legal Design Jam a questa pagina di Eventbrite.